Woods may have acquainted himself with some less than ideal parts of the golf course, but he’s made the cut and will at least be in the field for the entire weekend. 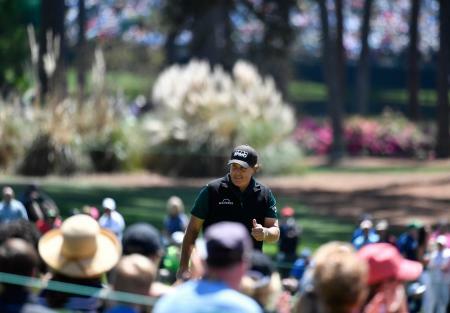 While the crowds following him on every hole might suggest otherwise, Tiger is not the only attraction, and the aforementioned Major stuffed leaderboard bodes well for a thrilling weekend’s action. Let’s take a look at the key talking points from today’s action. Today proved that one of the very few people who can beat Jordan Spieth at Augusta is, well, Jordan Spieth. Danny Willett owes much of his 2016 victory to Jordan experiencing a (sorry Sergio…) Garcia-esque nightmare on the final day at the 12th, shooting a career first quadruple bogey and effectively handing the victory to Willett. While not nearly as catastrophic, today’s performance has certainly made this tournament a little harder for the man who came in to today’s round with a two shot lead and as a heavy favourite. The day started pretty horrifically with a snap hook into the trees on the first resulting in a double bogey, further dropped shots at the second and seventh, and career worst 40 through the front nine. He battled back to card a two over 74, and has only dropped back to T-4. However, one is left with the feeling that if only Jordan could get out of Jordan’s way, no-one else stands a chance around this course. Poor Sergio. We don’t need to retread the pain of the 13 at the 15th. Suffice to say Sergio couldn’t muster enough to make the cut today. Let’s not get overly downhearted, as the last two days will swiftly become just a footnote in the telling of Sergio finally claiming that Major victory. Next time we’ll see him he will be presenting the winner with the Green Jacket on Sunday. 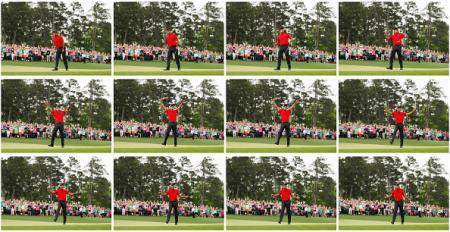 It’s looking increasingly unlikely that we’re going to get the fairytale Tiger victory that many have been hoping for. A stodgy 39 through the turn and another trip to the bottom of Rae’s Creek meant that at one point the worst, a missed cut, was looking like an uncomfortable possibility. 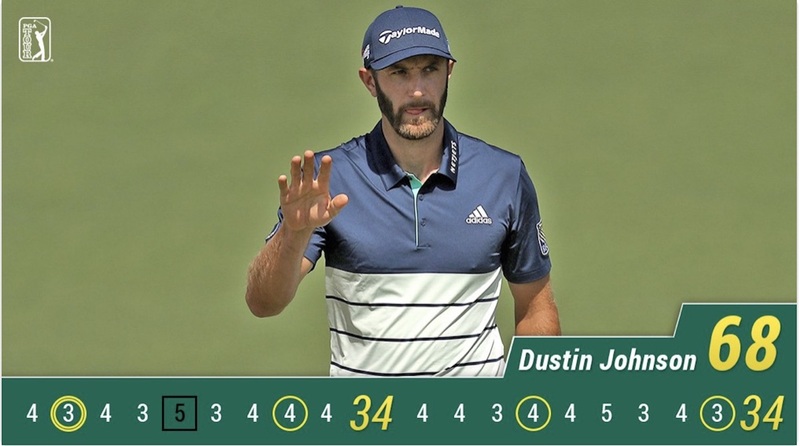 With all the focus on the big narratives leading up to this Masters, somehow we have not been talking about the best player in the world. A relatively uninspiring 73 on day one has meant that he remained somewhat under the radar, but an effortless 68 sees him sitting menacingly T6 with Justin Thomas. 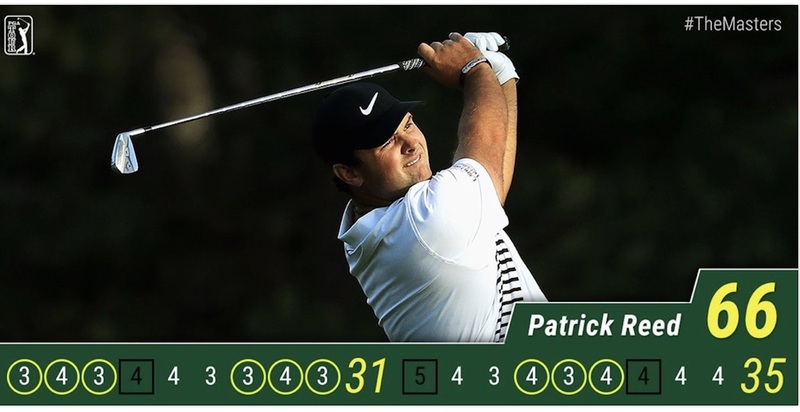 Patrick Reed is basically America’s Ian Poulter. Both divide attention. Both are certainly not lacking in the self belief department. 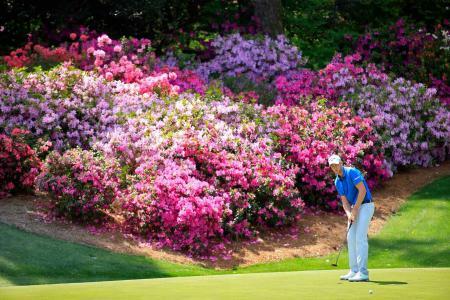 Poulter, however, could only dream about a blistering round that included 9 birdies. Reed is a man who certainly divides opinion. You would be hard pushed, however, to find anyone who would disagree with the quality of display today. 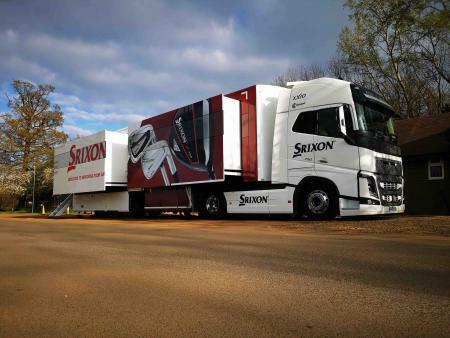 Tomorrow’s forecast is looking decidedly dodgy, but, with the front page of a leaderboard including Stenson, Johnson, Thomas, Spieth, Watson and McIllroy, this weekend is shaping up to be something of a classic.